I’ll bet you have not seen one of these before, unless you saw the 5 we had about a year ago. 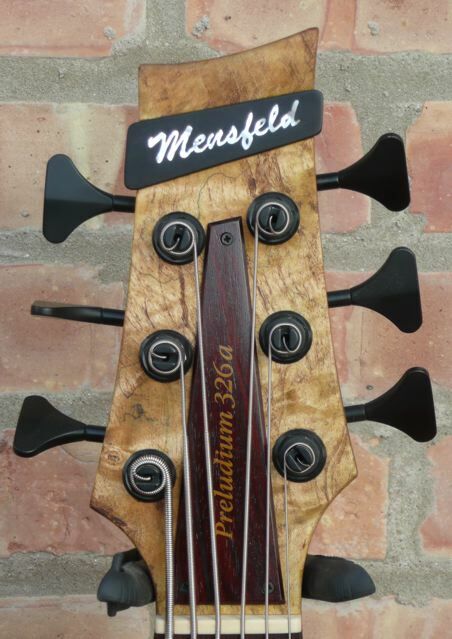 This bass is by Polish luthier Maciej Mensfeld. 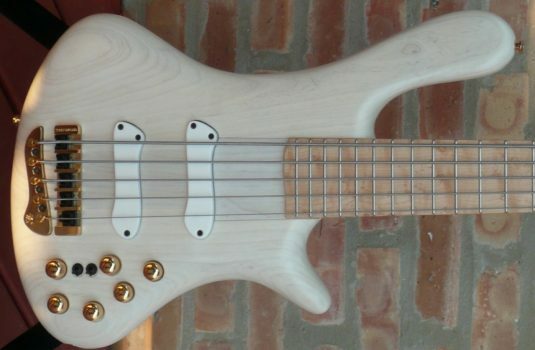 It is a 32″ scale bass whose claim to fame is a very robust low B string. 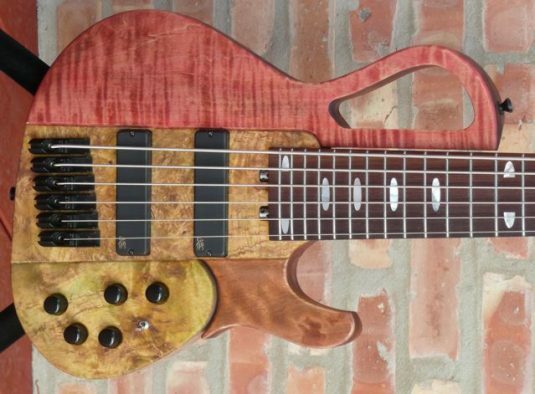 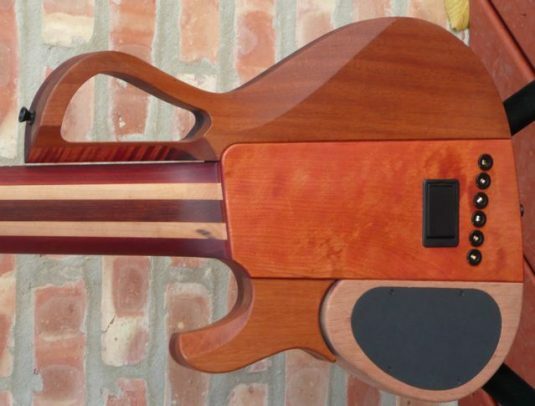 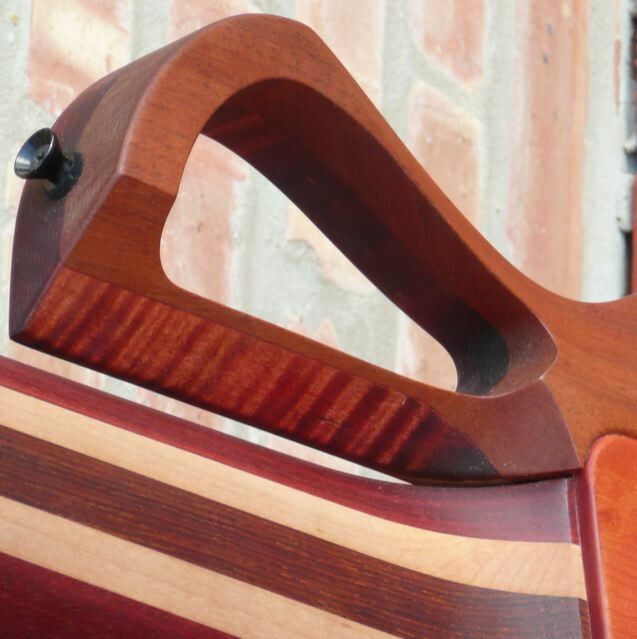 It used to be that we assumed that a 35″ scale was necessary to provide a strong B. I am here to tell you that there are exceptions to almost every rule, and this bass is one example of that. 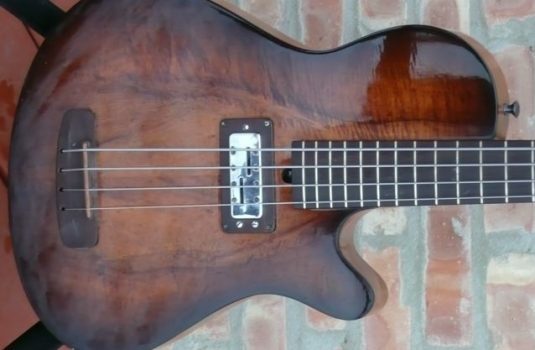 Mr. Mensfeld did not tell me what all the woods are, and I cannot say that this bass sounds a certain way due to any of the woods used here. 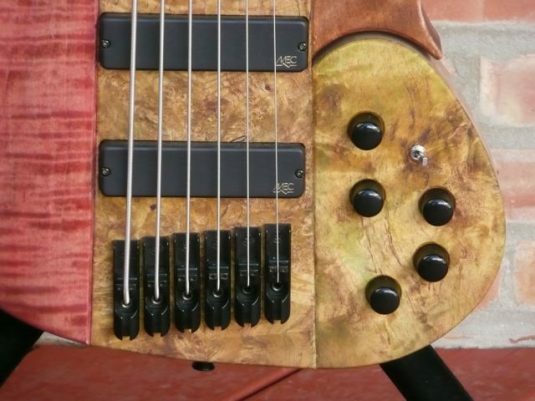 My ears tell me the story – the bass has a rich and articulate tone. 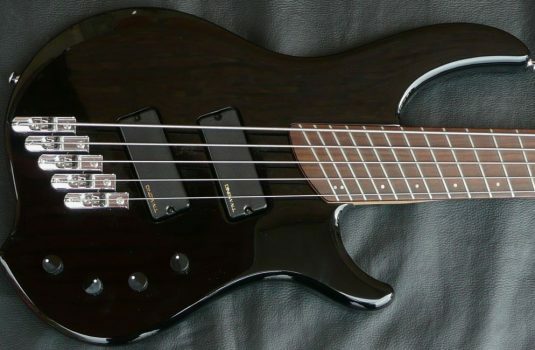 Pickups are MEC, the preamp is a Lakland/Bartolini. 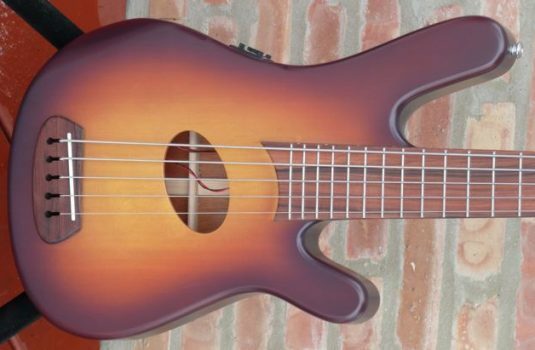 Bottom line, it sounds great , it is a breeze to play.